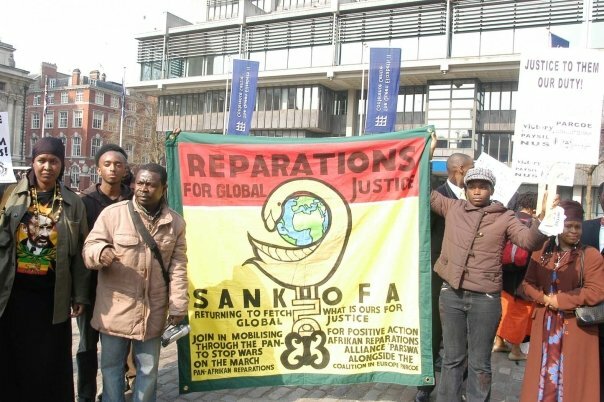 Since, my research seeks to establish the existence of an International Social Movement for Afrikan Reparations (ISMAR) in the UK more generally, but focuses more specifically on the role of London based activists in shaping and advancing it, it is important to explain what a social movement is. In speaking about social movements, one tends to speak of movements as actors in themselves e.g. the ‘women’s movement,’ ‘peace movement,’ ‘environmental movement,’ or ‘labour movement’, for example. Normally studied from the perspective of sociology, several universities, such as the University of Sheffield, History Department focus their academic teaching and research on the role of social movements in historical change. They cannot be reduced to specific insurrections or results, but rather resemble strings of more or less connected events, scattered across time and space; nor can they be identified with any specific organisation, rather they consists of groups and organisations, with various levels of formalisation, linked in patters of interaction which run from fairly centralised to the totally decentralised, from the cooperative to the explicitly hostile; persons promoting and/or supporting their actions do so not as atomised individuals, possibly with similar values or social traits, but as actors linked to each other through complex webs of exchanges, either directed or mediated. Social movements are, in other words, complex heterogeneous network structures. http://www.shef.ac.uk/history/research/clusters/socialmovements (date accessed 11 November 2013). Hermann Maiba, ‘Grassroots Transnational Social Movement Activism: The Case of Peoples’ Global Action’, Sociological Focus vol. 38, Iss. 1, (2005) pp. 41–63 at p. 42. Mario Diani and Doug McAdam, eds., ‘Social Movement Analysis: The Network. Perspective’ (Oxford, Oxford University Press, 2002). Jeffrey S. Juris, Erica G. Bushell, Meghan Doran, J. Matthew Judge, Amy Lubitow, Bryan Maccormack & Christopher Prener (2014) ‘Movement Building and the United States Social Forum’, Social Movement Studies: Journal of Social, Cultural and Political Protest, 13:3, 328-348. What is the International Social Movement for Afrikan Reparations (ISMAR)? 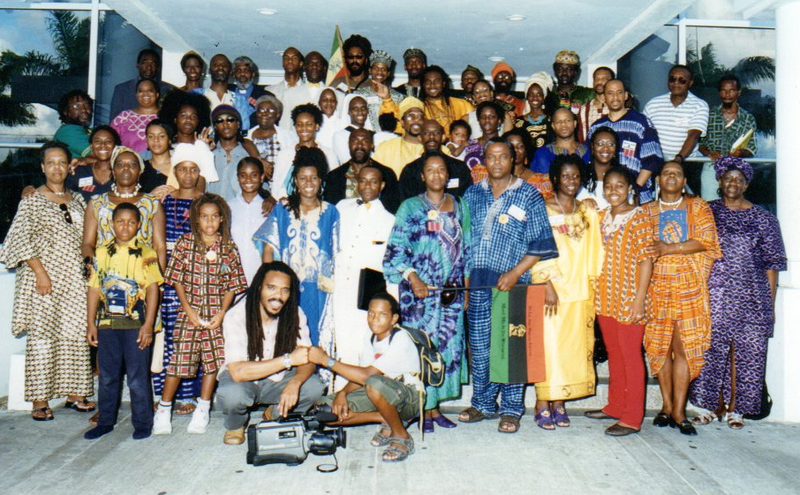 The ISMAR has been conceptualised by activists in the Pan-Afrikan Reparations Coalition in Europe (PARCOE) working through formations like the Interim National Afrikan Peoples Parliament (iNAPP) and the Global Afrikan People’s Parliament (GAPP), to refer to the collectivity of a broad alliance of social forces within Afrikan heritage communities all over the world, consisting of a broad array of constituencies, with a range of ideological orientations, working in diverse ways, and acting with some degree of organisation and continuity to obtain redress for historical atrocities and injustices which have contemporary consequences, repair the harms inflicted, and to rehabilitate their victims in the process of effecting and securing the anti-systemic objectives of effecting and securing reparations. Activists and scholars debate whether it constitutes a single distinct social movement or represents a collection of allied groups, interests and causes, i.e. a ‘movement of movements’. Nonetheless, the literature leans towards supporting the perspective advanced by reparations activists; that the ISMAR is not an entirely different movement from the wider Afrikan Liberation Movement, but is distinguished by special features, such as, continuity of systemic anti-imperialist efforts to seek redress; as well as secure and effect various forms of self-repairs arising from the historical and contemporary injustices rooted in the African holocaust of chattel, colonial and neocolonial forms of enslavement, otherwise known as the Maangamizi. In a draft paper entitled ‘Our Struggle for Reparations in African Youth Perspective’ presented at the 1993 Birmingham Conference on Reparations (UK), the All-Afrikan Student’s Union in Europe (AASU-E) stated that they saw reparations “from the perspective of African youth, as the actual concretisation of the objectives of our whole peoples’ liberation struggle under the banner of revolutionary Pan-Africanism”. (1) Taken from an unpublished paper co-authored by Antonieta Carla Santana, p2. To commemorate BLACK HISTORY MONTH 2013 , I will speak at the University of Cambridge’s Black History Month Programme on 21st October organised by the African Caribbean Society. In my talk I will discuss my current PHD research on the historical trajectory and outcomes of the Social Movement for African Reparations in the UK from the 18th century to the present day. 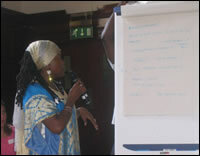 I will focus on the role of women in reparations movements on the continent of Africa and across the African Diaspora. This is the link to the Little Britain’s Memory of Slavery conference I participated in which took which place at University College London on 13-14 September 2013. (1) See Hermann Maiba, ‘Grassroots Transnational Social Movement Activism: The Case of Peoples’ Global Action’, Sociological Focus vol. 38, Iss. 1, (2005) pp. 41–63 at p. 42. (3) See Mario Diani and Doug McAdam, eds., ‘Social Movement Analysis: The Network. Perspective’ (Oxford, Oxford University Press, 2002). Reparations as a concept is one of the most misunderstood terms with popular understandings of reparations associating it with financial compensation. It is important to look to how reparationists have defined the term. In a paper presented at the Birmingham Preparatory Reparation Conference, on 11th December 1993 organised by the African Reparations Movement (ARM, UK), Dr Kimani Nehusi asserts that understanding the term reparations “demands that this notion be applied to the specific historical experience and the related contemporary condition of Africans” asserting that “the meaning of this term transcends repayment for past and continuing wrong, to embrace self-rehabilitation through education, organisation and mobilisation.”Nehusi goes on to highlight the etymology of the term ‘reparation’ which originates from Latin pointing out that there are a number of meanings associated with the term. “Let me begin by noting that reparation is not just about money: it is not even mostly about money; in fact, money is not even one percent of what reparation is about. Reparation is mostly about making repairs. self-made repairs, on ourselves: mental repairs, psychological repairs, cultural repairs, organisational repairs, social repairs, institutional repairs, technological repairs, economic repairs, political repairs, educational repairs, repairs of every type that we need in order to recreate and sustainable black societies….More important than any monies to be received; more fundamental than any lands to be recovered, is the opportunity the reparations campaign offers us for the rehabilitation of Black people, by Black people, for Black people; opportunities for the rehabilitation of our minds, our material condition, our collective reputation, our cultures, our memories, our self-respect, our religious, our political traditions and our family institutions; but first and foremost for the rehabilitation of our minds”. It can thus be concluded then popular conceptions of reparations within the Social Movement for African Reparations should be viewed as an obligation to make the repairs necessary to correct current harms caused as a result of past wrongs. Under this view, reparations can be viewed as a process that restores hope and dignity and rebuilds communities rather than being reduced to a pay check. 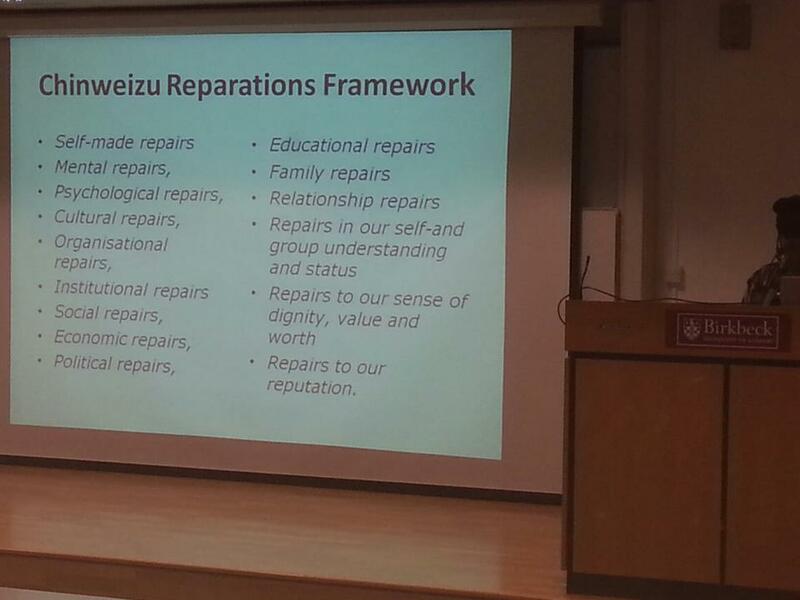 This notion of ‘reparations as repairs’ has also been advocated by reparations legal and political theorists in the USA. For example, Yamamoto et. al (2007)  advocate the ‘reparations as repair’ model to help elevate the role of reparations potential to “create social healing and generate practical theory” as well as ways of ”doing justice” that link scholars and frontline reparations advocates with legal policymakers and the [American] public. The right to reparation has also been recognised as a fundamental right and well established principle in international law which according to the human rights organisation REDRESS that helps torture survivors obtain justice and reparations “has existed for centuries” and refers to the obligation of a wrongdoing party to redress the damage caused to the injured party. Typically in the 19th and 20th centuries, reparations came to be associated with punitive sanctions against aggressor states following their defeat in war. However, among the significant transformations of reparations politics in more recent times has been a shift from reparations involving states, to cases involving both states and civil society actors, who are usually racial or ethnic groups united by their common experience of a historical injustice. Under international law, “reparation must, as far as possible, wipe out all the consequences of the illegal act and re-establish the situation which would, in all probability, have existed if that act had not been committed.”In 2005, the UN General Assembly adopted the ‘Basic Principles and Guidelines on the Right to a Remedy and Reparation for Victims of Violations of International Human Rights and Humanitarian Law.’These principles go some way towards codifying the norms relating to the right to reparation and also dispel one of the most common misconceptions, i.e. that reparation is synonymous with compensation. Other forms of reparation contained in these norms include: restitution, rehabilitation, satisfaction and guarantees of non-repetition. Dr Maulana Karenga, Professor of Africana Studies in his paper: ‘The Ethics of Reparations: Engaging the Holocaust of Enslavement'asserts that reparations, like all our struggles, begins with the need for a clear conception of what we want, how we define the issue and explain it to the world and what is to be done to achieve it. He puts forward the argument that the ethical dimension is the first and most fundamental dimension of the reparations issue. He teaches that in the Husia, the sacred text of ancient Egypt, there is an African concept of restoration, i.e., healing and repairing the world that is appropriate in discussing our struggle to advance the cause of reparations. This concept is serudj which is part of a phrase serudj-ta, which Karenga states means to repair and heal the world making it more beautiful and beneficial than it was before. (7) to make flourish that which is insecure and undeveloped. Equally as relevant is the work of Mogobe B. Ramose, Professor of Philosophy who teaches on African conceptions of justice and race. In his paper An African Perspective on Justice and Race, he argues that since it is no longer tenable to argue that the idea and practice of law was alien to the indigenous African peoples prior to colonisation, an essential aspect of repairing the damage of enslavement and colonisation is to reclaim African conceptions and frameworks of justice. Quoting Kéba M’Baye, Ramose reminds us of the importance of working according to African conceptions of justice and seeking to gain recognition for Africans rights to do so when he states: “A debt or a feud is never extinguished till the equilibrium has been restored, even if several generations elapse … to the African there is nothing so incomprehensible or unjust in our system of law as the Statute of Limitations, and they always resent a refusal on our part to arbitrate in a suit on the grounds that it is too old”. Thus in the ubuntu understanding of law, an injustice that endures in the historic memory of the harmed is never erased merely because of the passage of time. The work of N’COBRA Legal Consultant and Ajunct Professor of Law, Adjoa Aiyetoro is relevant here. In her article ‘Formulating Reparations Litigation through the Eyes of the Movement' she advocates that: “In order for people who have been shut out of the system to obtain meaningful remedies for violations of their human rights, redefinition of some ordinary and some uncommon terms must be accepted by the legal system”. Reparations is not just a legal case or a political claim but also a social movement. In An Approach to reparations Human Rights Watch maintain that “when addressing relatively old wrongs, claims of reparations should not be based on the past abuses of enslavement and colonisation solely, but on its contemporary effects.” They point out that people today, i.e. the descendants of the enslaved who can reasonably claim that today they personally suffer the effects of past human rights violations through continuing economic or social deprivation are deserving of reparations. There is great potential in utilising the Genocide Convention as an advocacy tool. In his book Never Meant to Survive: Genocide and Utopias in Black Diaspora Communities, Joao H. Vargas, Associate Professor of African American Studies and Anthropology establishes that the relentless and intergenerational oppression and marginalisation of large numbers of Black people in modern societies constitutes genocide, in that groups among us are subjected to conditions of life that are sufficiently destructive to amount to instances of genocide. In this regard it is important to also understand indirect genocide (which involves creating life conditions which destroy a group and facilitate intra-community violence). We either begin to address, redress, and do away with what make possible the multiple facets of anti Black genocide, or we succumb to the dehumanising values that produce and become reproduced by the systematic and persistent disregard for the lives of Afro-descended individuals and their communities. It is important to therefore recognise however, that there are two dimensions to reparations, the external and the internal. The external is what we say others owe us but the internal self repairs are what we must engage in by way of restoring our agency, and asserting our right to self-determination and dignity as Africans. Many Afrikans in Africa and other parts of the African Diaspora are asserting the highest form of reparations as being a restoration of our sovereignty and the need to forge Pan-African Sovereignty which never ceded and has never been restored since Africa was colonised. Independence and sovereignty are not the same things! There are two main ideological tendencies, that which has been associated with various forms of African/ Black nationalisms and linked to the restitution of land, language, culture, community, nation and Pan-African citizenship. The other dominant tendency has been the integrationist approach which sees reparations as being about Africans gaining more fulfilling experiences of citizenship within the West and more successful integration of Africans within Euro-American nations. The question is can reparations truly occur if we are simply seeking to emulate our former colonisers, do we not owe it to ourselves to (as Fanon admonished us many years ago): “Let us not pay tribute to Europe by creating states, institutions and societies which draw their inspiration from her. Humanity is waiting for something other from us than such an imitation, which would be almost an obscene caricature. If we want to turn Africa into a new Europe, and America into a new Europe, then let us leave the destiny of our countries to Europeans. They will know how to do it better than the most gifted among us. But if we want humanity to advance a step farther, if we want to bring it up to a different level than that which Europe has shown it, then we must invent and we must make discoveries. If we wish to live up to our peoples’ expectations, we must seek the response elsewhere than in Europe”. “Now, we who are campaigning for reparations cannot hope to change the world without changing ourselves. We cannot hope to change the world without changing our ways of seeing the world, our ways of thinking about the world, our ways of organising our world, our ways of working and dreaming in our world. All these, and more, must change for the better. The type of Black Man and Black woman that was made by the holocaust – that was made to feel inferior by slavery and then was steeped in colonial attitudes and values – that type of Black will not be able to bring the post-reparation global order into being without changing profoundly in the process that has begun; that type of Black will not be even appropriate for the post-reparation global order unless thoroughly and suitably reconstructed. So, reparation, like charity, must begin with ourselves…”. C. Waterhouse, ‘The Full Price of Freedom: African Americans Shared Responsibility to Repair the Harms of Slavery and Segregation’, Graduate School of Emory University PhD thesis, (2006), p3. Presented at the ‘First Conference on Reparations for Slavery, Colonialism and Neo-colonialism’ which took place in Nigeria in 1993. E.K Yamamoto, E.K,, S. Hye Yun Kim, S. and A.M Holden, A.M ‘American Reparations Theory and Practice at the Crossroads,’ California Western Law Review, Vol.44, No.1. (2007). See Permanent Court of Arbitration, Chorzow Factory Case (Ger. V. Pol. ), (1928) P.C.I.J., Sr. A, No.17, at 47 (September 13); International Court of Justice: Military and Paramilitary Activities in and against Nicaragua (Nicaragua v. U.S.). ‘Basic Principles and Guidelines on the Right to a Remedy and Reparations for Victims of Gross Violations of international Human Rights Law and Serious Violations of International Law’, United Nations General Assembly Resolution 60/147, 21 March 2006. Being on this path takes me to some really great places. I was pleased to be able to visit the land of my mother’s birth Guyana to speak on reparations as part of the 2013 Emancipation Programme organised by the Council of Friends of New Amsterdam (COFONA). Under the theme “From resistance to emancipation towards empowerment” CAFONA led a series of commemorations in acknowledgement of the 250th anniversary of the 1763 Berbice Slave revolt and the 175th anniversary of the 1833 Abolition of Slavery Act. Is there a Social Movement for African Reparations in the UK? This is a lecture I gave at the University of Birbeck as part of the Queen Nzinga Lecture Series. What are reparations? social, cultural, physical, psychological, legal, financial? Who in the world has received reparations and why? How far back does the reparations movement in the UK go? How have people of African heritage in the UK articulated the struggle for reparations? How do we go about achieving reparations? Who benefits from reparations and how? What can you do to support the reparations movement?